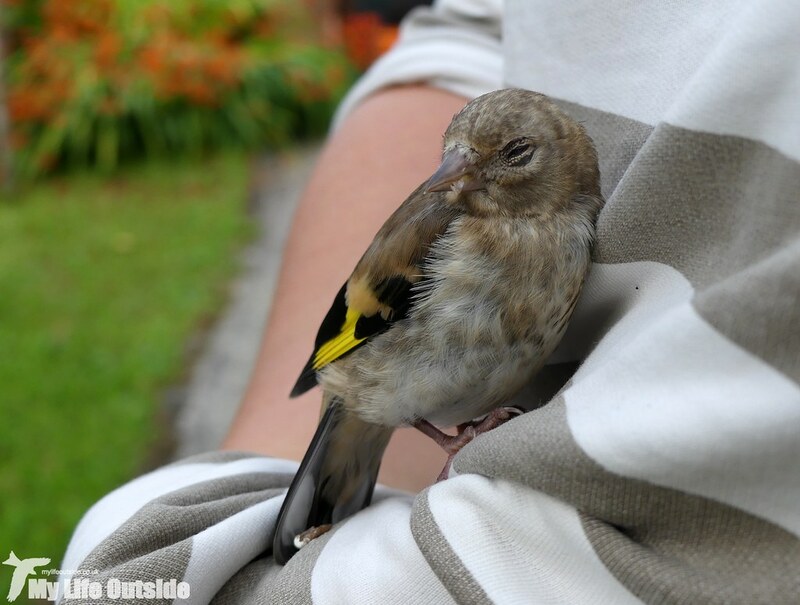 High drama graced our garden last night following the discovery of a grounded juvenile Goldfinch. This is not a wise move in an area plagued by feral cats and our concerns were rightly raised that were it to stay there it would not be long for this world. Physically it looked in good health but simply refused to move or fly off at any approach. Keeping a careful watch our suspicions were raised that it was perhaps stunned, another casualty of our garage window which no amount of reflective devices seems to prevent. I’ve dealt with these circumstances a number of times before and moving the bird to a quiet area and keeping an eye out for predators usually gives the unfortunate victim time to recover. 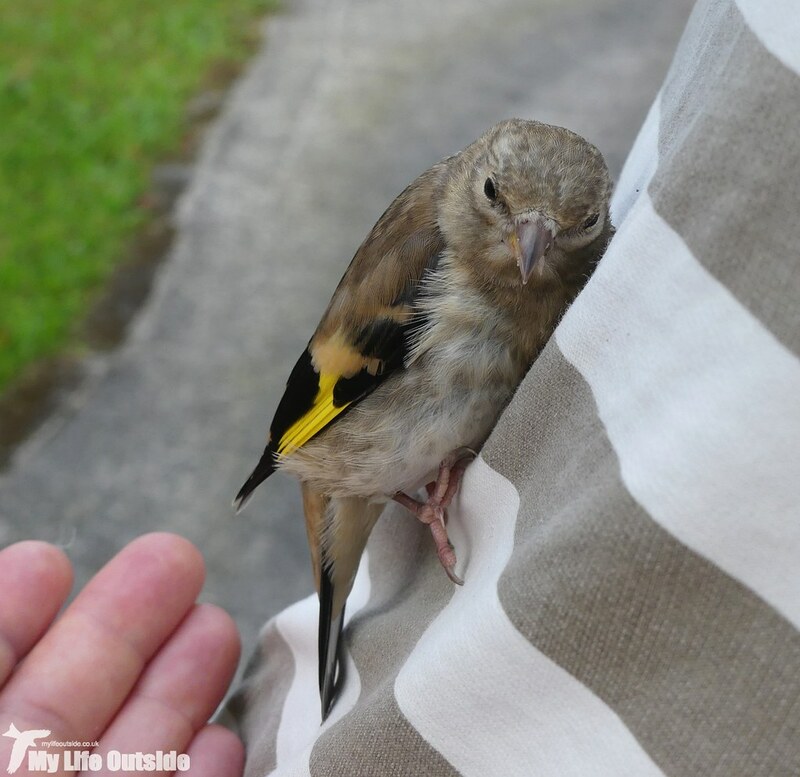 Emma was our designated carer this time around and picked the Goldfinch up easily enough but it quickly became obvious that it was in no fit state to stay in the garden. It was continuously nodding off apart from a few brief flight attempts that proved rather less than successful. The first saw it landing on Emma’s chest with the next taking it over to a tree where it singularly failed to make a landing and tumbled to the ground. 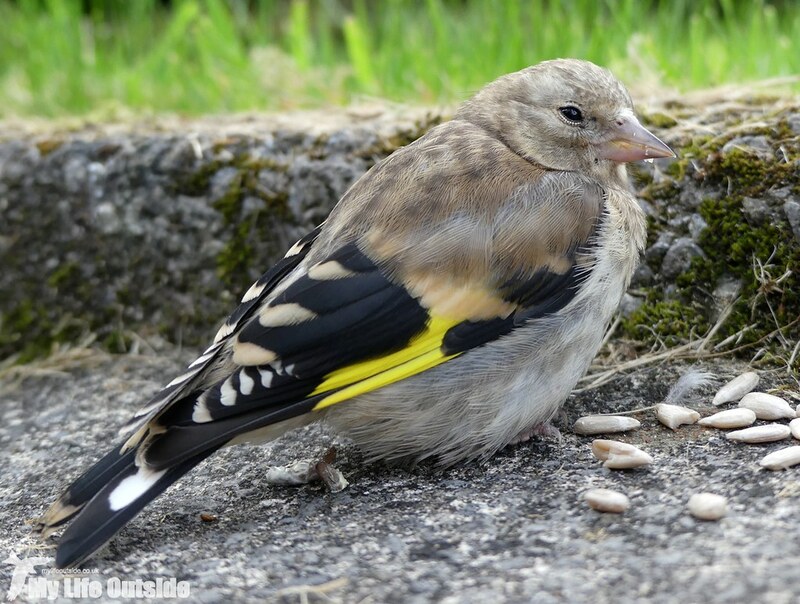 Worrying to say the least and a little sad as whenever the local Goldfinch flock flew over our juvenile would look skywards but was clearly unable to join them. Picking it up for a second time we transferred the bird to an old shoebox lined with towels, supplied some water and covered with another towel. Placed in a quiet corner of the house we left our new guest to recover, peaking in every now and again to ensure that all was well. 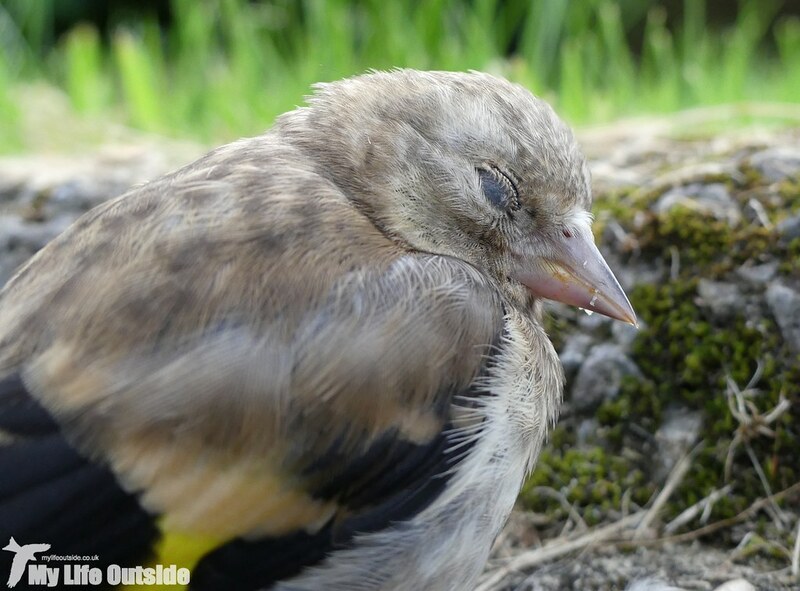 I’m happy to report that initial checks looked promising with the Goldfinch firmly asleep, head tucked under wing. The only problem was that it was now dark outside so although the recommended recovery time is a couple of hours we decided to leave things as they were overnight. Nerves were definitely jangling this morning but everything turned out brilliantly. 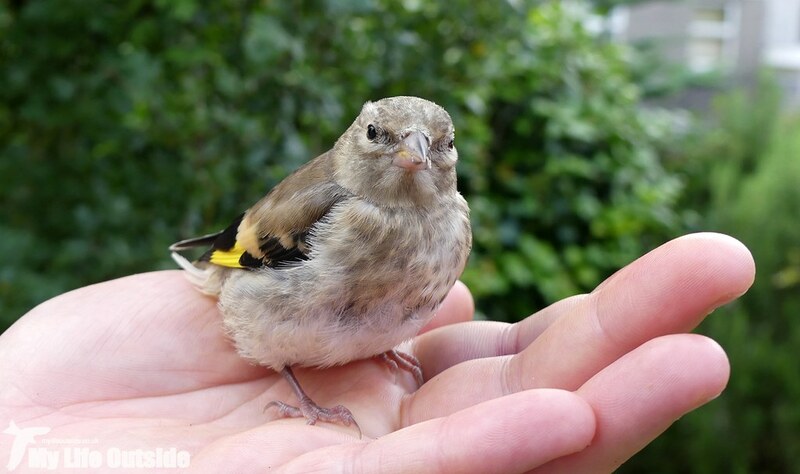 Our Goldfinch was already flapping about so we quickly took the box outside and released it. First stop was our neighbours tree and a few moments later it was gone, presumably joined with the rest of its flock as they once more passed through. A perfect result that improved my mood today no end.